In India, poor and illiterate patients are being used to test new drugs for the West and some are unaware they are even taking part in clinical trials. Lying immobile on a bed in Kerala, Devassy Kutty has been used in a human experiment. He was one of the first people to be injected with a drug that had not even been properly tested on animals. He thought he was receiving an anaesthetic. The scientists involved have received an international award for their work but the patient still does not know what happened to him. In a two room shack in Gujarat, a psychiatric patient prays with his family. He explains how he was once given some drugs for free and how they made his hands and feet go numb. Why are some Indian patients willing to take the risk? 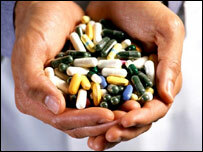 He does not know that the free drugs were part of an drug trial by a Western pharmaceutical company. "I wouldn't have done it if I'd known, but the doctor gave me some tea and biscuits and said I had to continue," he says. But how can the pharmaceutical companies recruit so quickly in India? Paul Kenyon uncovers the disturbing truth behind India's boom in clinical trials.